Jared provides strategic legal and business advice to creative individuals and companies throughout the motion picture, television, recording, radio and new media industries. 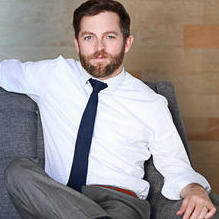 Jared's services include contract drafting, negotiation and enforcement; copyright and trademark counseling, registration and protection; negotiation of publishing, licensing, endorsement, sponsorship, marketing, advertising and merchandising deals; privacy and defamation matters; general corporate matters such as entity formation; and dispute resolution. "Jared has been exceptional when it comes to the organization of our new start up business venture in Atlanta - Scamper Van LLC. From creating our LLC to our Operations Agreements to Trademarking our brand, Jared has worked diligently to get us started on the right track. Jared is thorough and detailed and his follow up is impeccable. We are so fortunate to have Jared on our team." "Jared was very helpful with negotiating an entertainment contract. I would not have thought to include some of his suggestions. I am very happy I consulted with him first." The Hall Firm is an Entertainment & Media Law Firm that provides strategic legal advice and services to creative individuals and companies throughout the motion picture, television, recording, radio and new media industries.